The stunning dress features a beautifully crafted illusion neckline. The mermaid gown features a soft satin underlayer with a fantastic lace over layer. 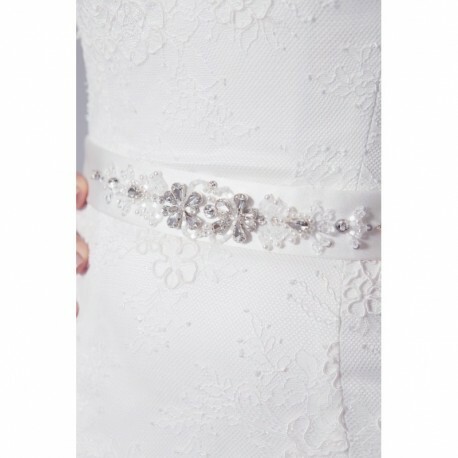 A belt embellished with stunning hand sewn beads accents the waist. SKU: MCB434. Categories: Dresses, Wedding Gowns.